Your Ocho Rios Zip line and Dunn's River Falls adventure begins directly from the Ocho Rios cruise ship pier or Ocho Rios/Runaway Bay resort. Journey into the hills passing through villages, lush vegetation, and locals doing there normal chores. Your driver will now take you back to your hotel or close to the Ocho Rios pier for a bit of duty free shopping or Margarita Ville (optional), where Jimmy Buffett's "Parrothead" fans love to relax, listening to his beloved songs, while enjoying a water slide, private beach, rooftop whirlpool, regular pool, and of course, a swim-up bar for a variety of beverages. Margaritaville is an easy walk to your ship! We will definitely use Jaital again! From the beginning, when we booked the tour online, to the dropoff your company was professional and personable. All of the information on the site was exactly what was represented. Our Driver for the day was awesome and was very personable. He took the time to tell us history and culture of Jamaica while driving us to and from the Zipline. He waited at every venue for us and made sure that we knew where he would be and gave us the information that we needed to know. It was just our family, so we felt like it was our own private tour! It was the best tour that we took all week! Thanks Jaital! We had a fabulous time in Ocho Rios zip lining, and seeing the Dunn's River falls, as well as the sting ray snorkeling tour in Cayman Islands. Thanks yo the staff in both places who made our trip enjoyable and memorable. We will be sure to let our friends and family know what a great company you Are! Thanks again. We had a great time! Sylvan was a great driver and had lots of informative advice. 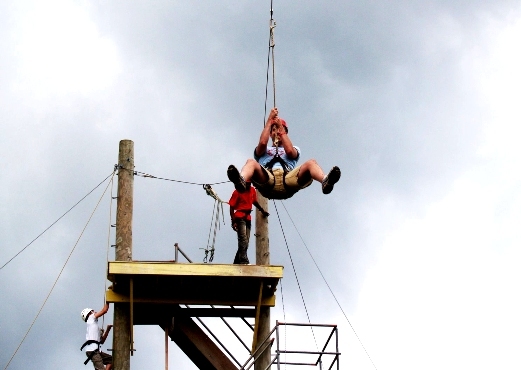 The guys at the zip line were extremely nice and took great care of us ensuring we were safe and having fun! I would recommend this tour to everyone! Dunn River was great! Our guide I think her name was Tammy made the hike fun! She made sure we had a great experience. Thanks for the great time! Our experience with the 2 activities was excellent. The driver was very courteous and informative about the area. We had an amazing time the zip lines are fun and the swing is amazing!! Dunns Rivers Falls was awesome and worth the experience. We were glad we used Jaital because of the amazing customer service. The driver Silvan was amazing and very knowledgable and nice he waited for my wife and I the entire time at each excursion. I am very pleased with the service from Jaital. Everything was executed as described on the website and when I talked with the gentleman over the phone. The excursions were prompt and unforgettable. Our driver Sylvan in Jamaica was very professional and waited for us to complete each excursion. He offered to show us more stuff about the local culture, including restaurants and shopping. The excursion in the Grand Cayman was outstanding. The crew took us to two magnificent snorkeling spots around the Great Barrier Reef. The crew took their time explaining about the stingrays and made sure everyone got to hold and take photos with them. All three of our excursions had small group sizes which was nice because the of the individual attention and explanation of the details. Our day was so amazing we really loved it! We also loved our driver Silven (I think that was his name). He was incredible! Kind, knowledgeable, friendly and a very safe driver on those crazy mountain roads. He was wonderful! Please let him know how much I appreciate his service! We had a wonderful experience with the company overall - being met by our guide and having a driver with us all day was wonderful. The ziplining was outstanding! We also enjoyed being able to dictate our own time at Dunns River Falls and leave with our driver when we wanted. Thank you! We had a great time! Everything went very smoothly. Thanks! Oh my God, this was absolutely fantastic! It was so much funn! We love the lines and would definitely do it again when we next visit Jamiaca. Tahn you very much for an exciting day! We love it! We had a good time and were pleased with the excursion. Your company was the only one that I found that offered both the Dunns River Falls AND the zip line experience. Good Job! The tour was awesome. it was just me and my wife so it was like a vip experience. The tours were awesome. We fell in love with jamaica and cant wait to come back. Will definately book with you again! My family and i enjoyed our recent trip to Jamaica. We found your website to be very easy. Our driver was very friendly and professional. The zipline was terrific and fun!!! We all love the falls. Thank you. We will definitely book with you on our next trip! We had a GREAT time in Jamaica! Jaital was organized, on time and super friendly. My boyfriend and I got our own personal driver who was awesome made sure we were on time to everything and that all our needs were met. We did the ziplining which was terrifying, but a great experience. The guys who helped us with our experience were really cool, patient, fun guys and we couldn\'t have done it without their encouragment. They were our own personal paparazzi (as they were saying) which was great because we have our experience completely documented. We then did the Dunn\'s River Falls climb. Was superfun! When we were finished, our driver was waiting for us and took us to an AMAZING overhang with a beautiful view and some shopping. We shopped directly from locals and it felt much more meaningful than going to the tourist shops. We were able to negotiate too which was good. All in all, our driver was awesome, really took care of us and made sure we had a great time. I would highly recommend Jaital for your travels to Jamaica. Thank you! We had a WONDERFUL time on this excursion. Our driver treated us like royalty and the guides at the zipline were top notch. Everyone was extremely friendly and very professional. This was by far the highlight of our cruise. I will be sure to pass along the information to all of my other cruise buddies. We did enjoy our day. Our driver was entertaining and informative at the same time. Once at the zipline location I found your staff amazing. All the individuals we had contact with made our vacation experience fun and memorable. 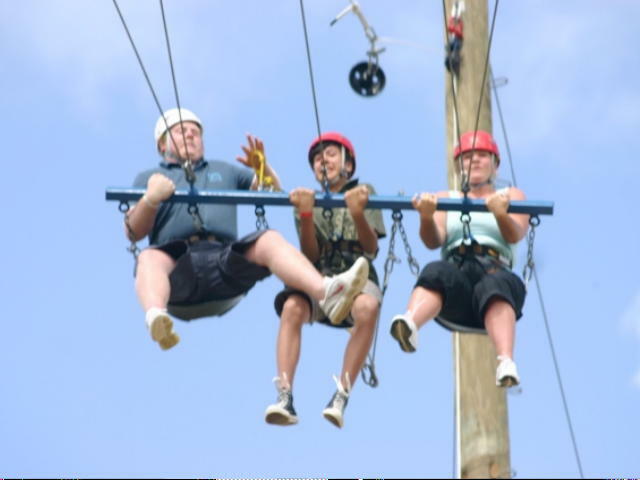 Both my brother and i had a great time in Ocho Rios, the Zip line adventure at heavens gate and it\'s staff was gracious and wonderful. I could have not asked for a better experience. The driver was courteous and well informed on our travel plans for the day. The Falls was a great experience, i would recommend this to anyone traveling to port for a short day. Thank you once again. Your service was very good, you were on time, very friendly, and very informative. Thank you for a great time! We had an awesome time on our tour. Wish I could provide some advice or suggestions but I can\'t. We all had an amazing time. Thanks again! I\'ll be sure to recommend you to anyone I know headed down south. It was a great experience, the entire team were extremely informative and helpful. My daughter and I had a very nice time. Your driver was excellent. I would recommend you to others. Thanks again for a memorable time. I had an amazing time at the zip lines, it was so much fun!!!!!! the staff and driver were extremely nice, I would definately book that again. Everything was amazing. Sylven was a very great driver. Was knowledgeable, happy, and very helpful. We had the time of our lives. The guides were wonderful and very understanding for the two jungle ducks in the group. Thank you for the experience of our lives. 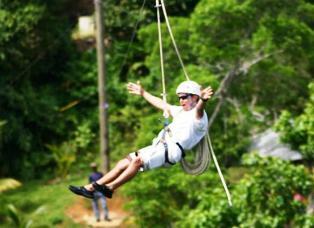 My family and I did the Jaital Tour Zip-line / Dunn Falls on June 22nd 2011 and had a blast. The crew working the zip-line adventure were very professional and safety minded. Those guys showed teamwork at its best. Great job guys!! Van driver was very courteous and friendly and explained some of Jamaica’s fine history. Thanks Jaital for a wonderful experience.